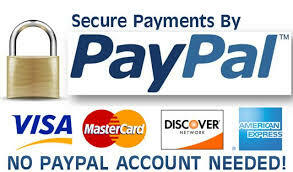 Pay your Ponds Inc Invoice securely online through PayPal. Please select the payment type and include your invoice or estimate number when you pay. Pay for pond installation Deposits / Prepayments / Balance, Spring/Fall Clean-out, or Services Deposits/Prepayments/Balance, Maintenance Services Deposits/Prepayments/Installments/Balance, Consulting & Consultation Fees or for any other services we offer.